The New Democratic Party (NDP) is calling for Mr. Sehon Marshall, the Permanent Mission of St. Vincent and the Grenadines to the United Nations to be relieved of his diplomatic position and recalled to St. Vincent and the Grenadines, with immediate effect. This comes following allegations of domestic abuse and violence against women contained in a New York Post article of Friday November 24, 2017. A release from the NDP said that the party is deeply concerned about the article which details shocking allegations of domestic abuse and violence reportedly committed by Mr. Marshall. 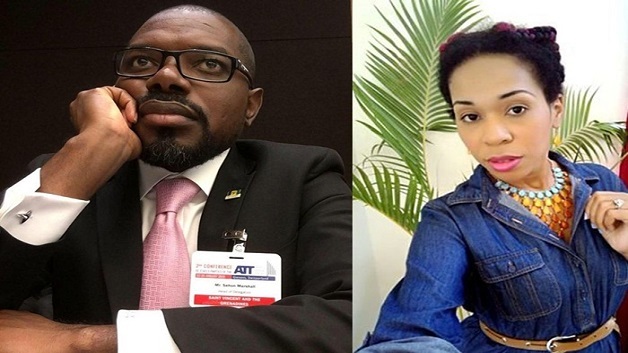 The abuse was allegedly directed at his wife, who is herself a diplomat at the SVG Permanent Mission. Among other things, the report alleges that during a verbal altercation at their New York home, “Marshall struck the woman with a closed fist, leaving her with a bloody lip”. The NDP says the reported allegations are extremely serious matters of violence and domestic abuse and they cannot be treated lightly. The party says it categorically condemns any and all forms of violence against women especially given the observance of International Day to Eliminate Violence Against Women, on November 25th.